If you’ve ever been online and have eyes, you’d realize that the Internet is obsessed with cats above all other things. This really isn’t an exaggeration. From Keyboard Cat to Lil Bub to Colonel Meow, the World Wide Web is replete with furry felines. Hey look, 50 viral cat vids in 4 minutes. It doesn’t stop there. Los Angeles, much like the rest of the world, is infatuated with cats in real life. Proof? A pop-up Catfé made an appearance in Chinatown, drawing visitors at full capacity during its run in early October. My friend waited outside in a looong line and never got in. The recent Hello Kitty Con made headlines on multiple news sites, which pointed out that the iconic kitten (yes, kitten, NOT little girl) celebrated her 40th birthday. There was an L.A. Feline Film Festival held in September that touted “Real cats, cat videos and even some famous cats!” and there is a Cat Art Show coming next fall. 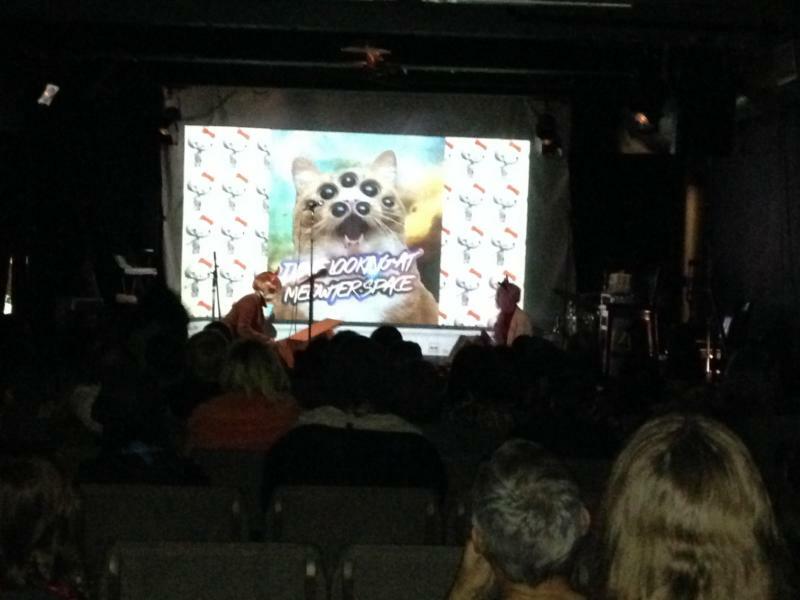 Oh, and there was an Internet Cat Video Film Festival with special guest Grumpy Cat back in January. The cat-related events in this city are nearly endless, and I’m willing to bet few people are complaining. 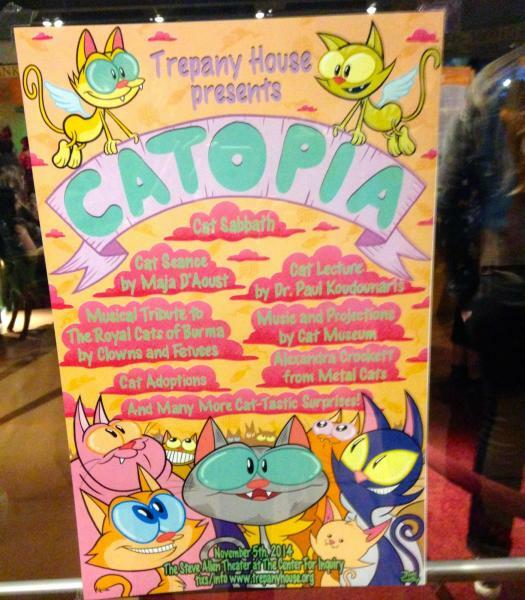 Due to catastrophically missing some of the above events, I decided I had to attend Catopia: A Night of Esoteric & Mystic Cat Entertainment. Well, I would’ve gone regardless. When my friend told me that there was a “cat variety show” in town — something that never happened in my hometown of Cincinnati (which still loves cats, but maybe not as much as L.A.) — I was pretty immediately sold. LA Weekly then informed me that this event is as follows: Cat-meets–Black Sabbath tribute band Cat Sabbath headlines Catopia, which features a cat séance conducted by the reputed white witch of L.A., Maja D’Aoust. 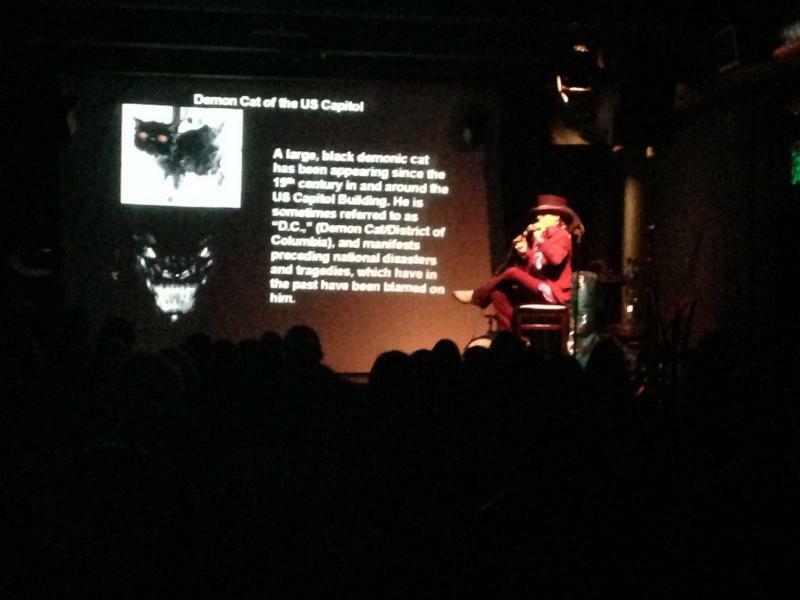 There’s also a lecture on cats, demonology and witchcraft by art historian and author Dr. Paul Koudounaris, while occult-inspired art-rockers Clowns and Fetuses perform a tribute to the Royal Cats of Burma and Cat Museum provides furball-themed visuals. YES, ALL OF THIS REALLY HAPPENED. 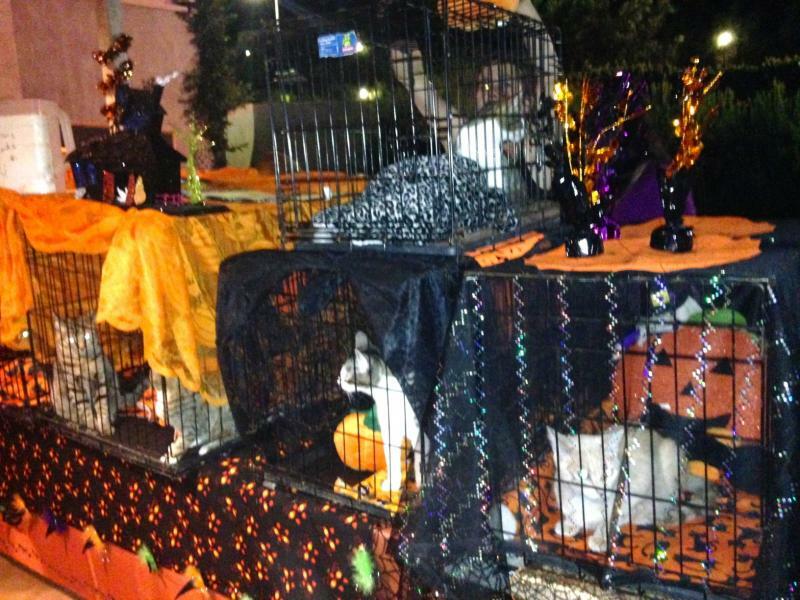 I was greeted by a gaggle of kittens up for adoption upon arrival at Steve Allen Theatre in Los Feliz, where Catopia took place. If not for my lease’s “no pet” policy and me being stuck in traffic 90% of my life in L.A. and therefore not being home, I would have adopted one. But really, I hope these little furballs found good homes. 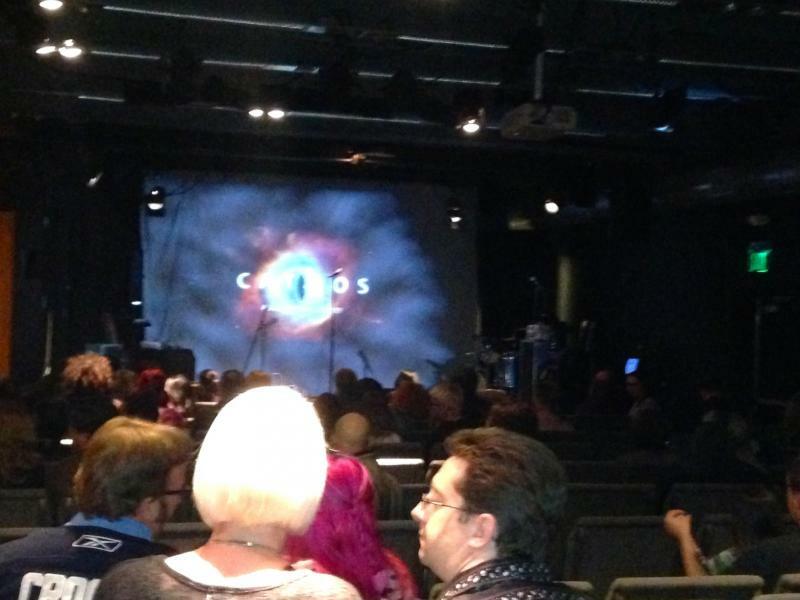 The intimate theatre displayed “CATMOS” on a projected screen, a play on the new COSMOS: A Spacetime Odyssey TV series. I encountered two of the performers inside, Tiff Rust Mire Bell Jones and Hello Kitty Carl Sagan (no Hello Kitty Neil deGrasse Tyson, though). They explained to me that they have their PurrH.Ds, because they’re physicats (I made this up). 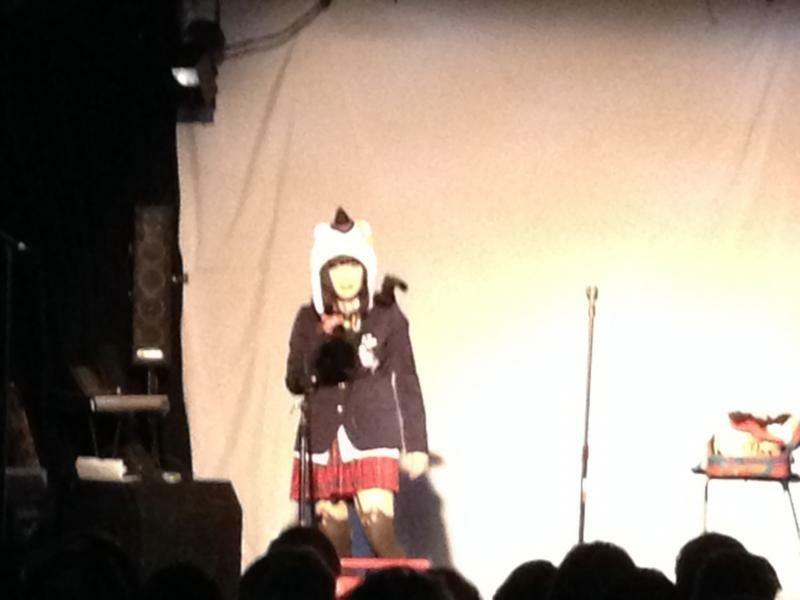 The two ladies then got on stage and spewed space/cat-related jokes as CATMOS-themed material (“We are made of catstuff”) and an endless stream of Internet cat memes were displayed in the background. Art historian and author Dr. Paul Koudounaris’ lecture followed. This was likely my favorite part of the night, as it was filled with fun/macabre historical tidbits about cat worship and, more notably, the demonization of cats from ancient Iran to Capitol Hill. As far as the latter goes, check out Demon Cat. It is purported to haunt D.C.’s government buildings. Cats: so sorely misunderstood. The séance was next, and, in juxtaposition, was probably my least favorite part of the night. Maja D’Aoust, white witch or not, was not engaging in the least onstage as she attempted to slowly and mysteriously communicate with several peoples’ dead pets. 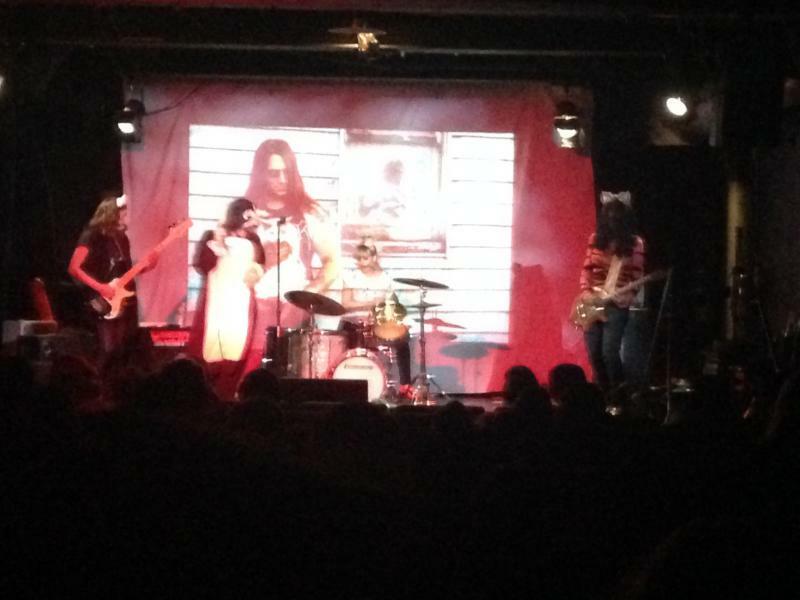 Cat Sabbath, an almost-all-female Black Sabbath tribute band, compensated for this afterward. 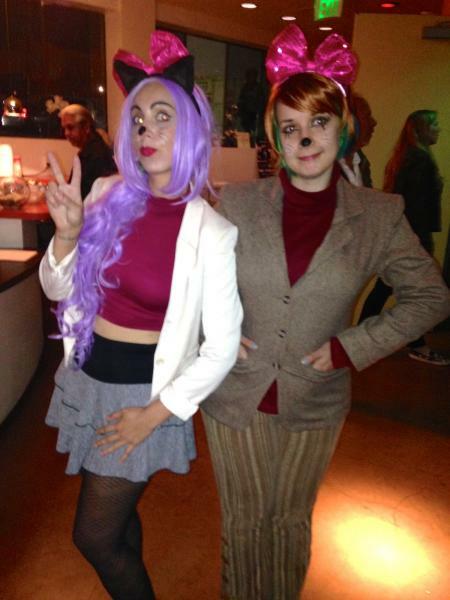 They were lively and actually talented, and I really want that cat suit. Pictures of Black Sabbath members holding cats were projected onscreen as the band members — all of whom sported cat ears — played. 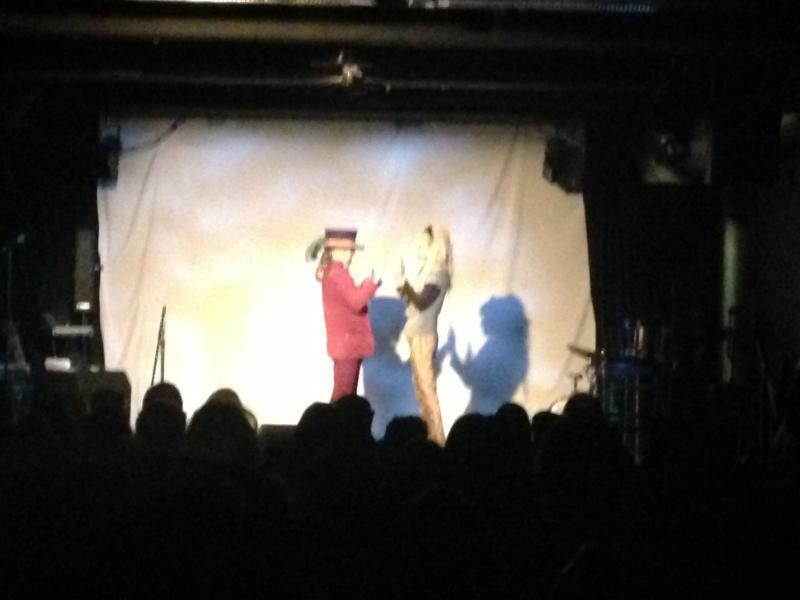 I am telling you, though, for $12, this delightfully bizarre event amid L.A.’s ever-growing cat scene was worth it. Don’t worry if you missed it, though; more events such as CatConLA, a Comic-Con for cat lovers, are in store for the near future. And there’s always Reddit.